Calibrating DC and low frequency magnetic field sensors or magnetometers. 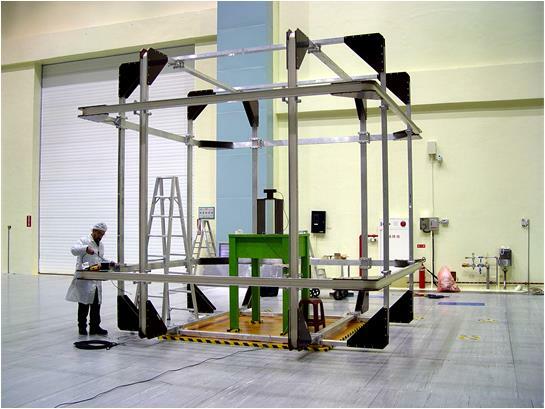 Measuring the induced and permanent magnetic properties of objects such as satellites. Dynamic shielding of a control volume. Studying the biological effects of magnetic fields. Calibrating directional drilling and drone attitude control sensors. Available coil sizes are 1m, 2m, 3m and 4m. The systems can be configured for open loop or closed loop operation. A non-magnetic thermal control system that can be used to control the temperature of devices under test can be added to the coil system. Download the manual for a description of the HCS01CL 2-meter system.